Mamta Joseph’s favourite memory from her childhood is running into a group of cricketers in the middle of their tour in Bengaluru and proudly announcing to her parents that she would interview them one day. What started as a preteen’s random whim became a career in journalism a few years later. “I was a sports reporter for about 3 and a half years. And I learnt very early on that if you really want something and are willing to work hard for it, the whole universe conspires to give it to you,” she says. Towards the end of her career, she realised that she wanted to do more. She says, “I got what I wanted from life, so I started to think about doing more for the greater good. That’s when a new journey of sketching and cartooning began. At it’s core, it’s about making a difference, making people smile and being a light in someone’s life. That’s how the name Salt n’ Light came about. Being the salt of the earth and the light of the world. 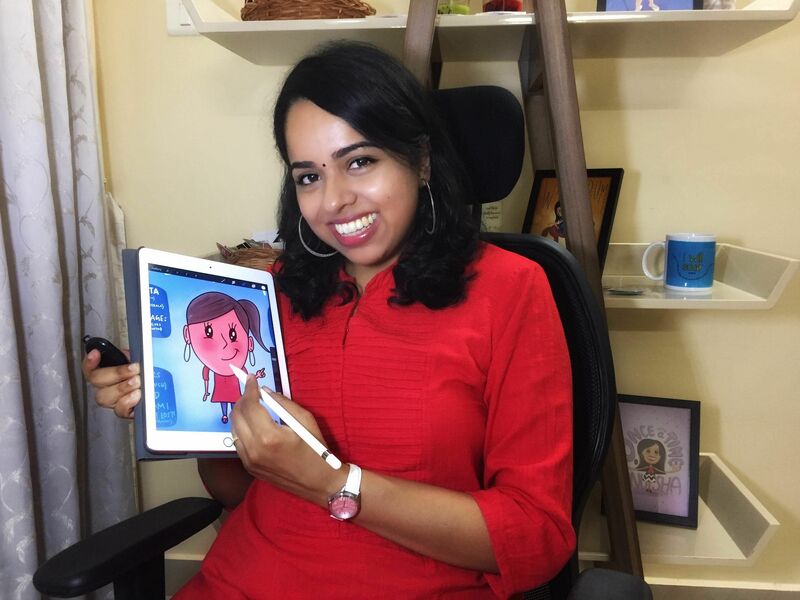 Making a difference to people’s lives in little ways.” She founded the company with her husband, Ajit Joseph. 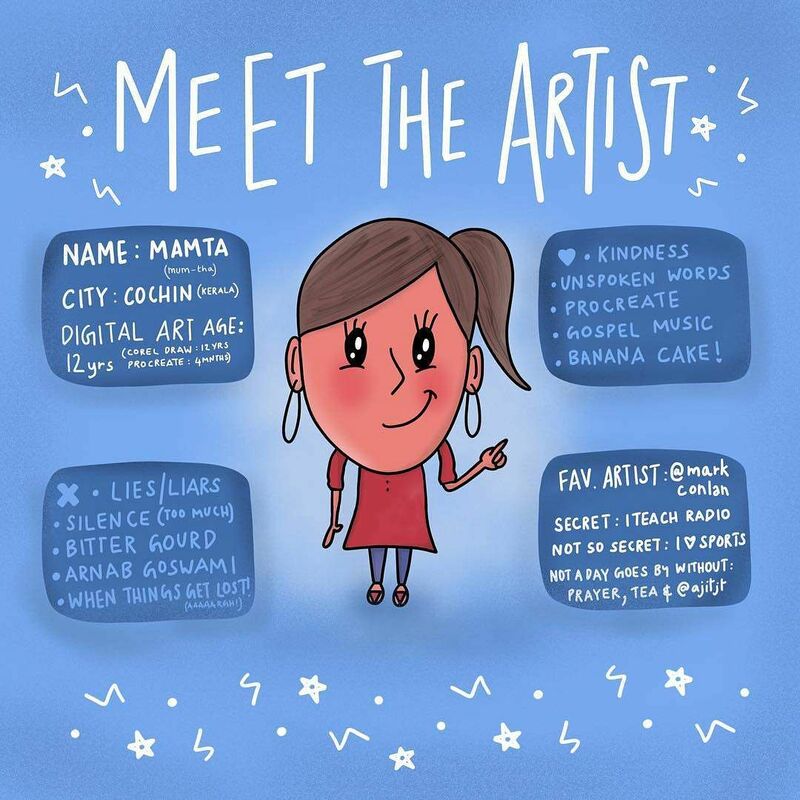 With no training or background in cartooning, Mamta started out by gifting her work to friends and family as little cards or small gifts. When their feedback was positive, it encouraged her to productise the artwork. “I pushed on with the idea that if you have a little bit of love in what you do, it will end well no matter how amateur it is. That’s how you always find people to be so accepting of these cute little quirky and artsy concept stores that are popping up a lot these days. 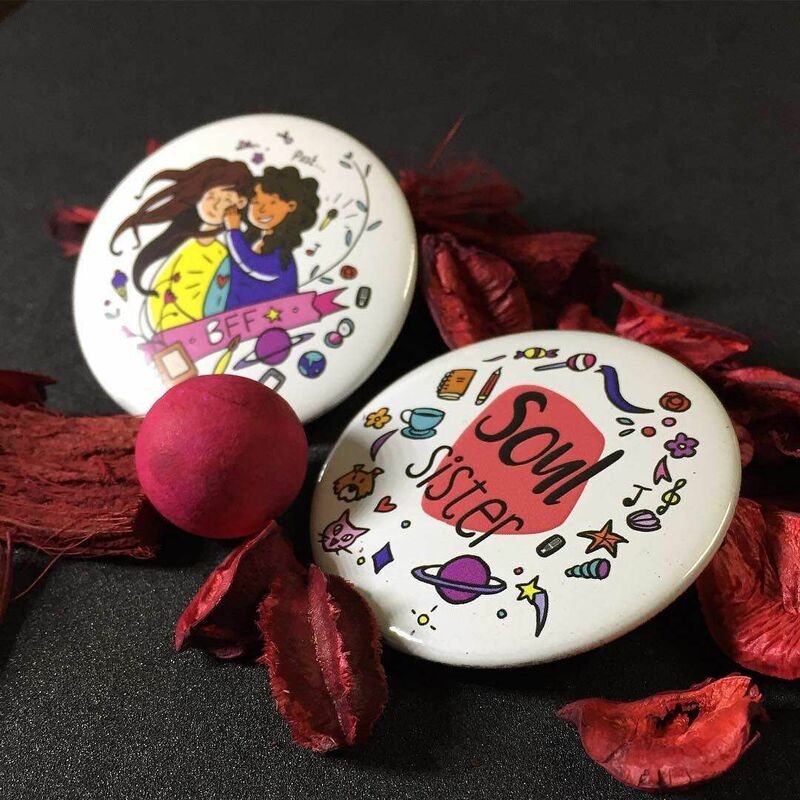 It may not look the same as a product you bought in a high-end store but there’s a lot of love and effort that goes into it and people love things that have a little heart,” explains Mamta. Hope is at the centre of the Salt n’ Light dream. During the Kerala Floods the company paused all business and lent a helping hand to relief activities, finding a way to help people and still fulfil their vision of bringing joy to people. This Christmas, Mamta and her team hopes to bring even more joy to Kochi through a fair called Santa’s Little Market. “One of the reasons why we are calling it Santa’s Little Market is because we are planning a little social cause with the event. We plan to keep a little stall at the very beginning where people can come and sponsor little gifts and toys for an area in Chalakudy that has been badly hit by the floods,” she explains. “Our proceeds are going to go specifically towards helping children,” stresses Mamta. “We’ve identified a space with over 300-500 children. We want to give back things that they lost during the floods that may not necessarily count for others. I remember visiting myself and a child telling me that she lost her monopoly set. It might seem less important, but we want to bring a little magic back to them this Christmas.” And even if you’ve lost the child-like wonder that brings joy to the season, anyone can be their best version of Santa Claus with the help of this initiative.